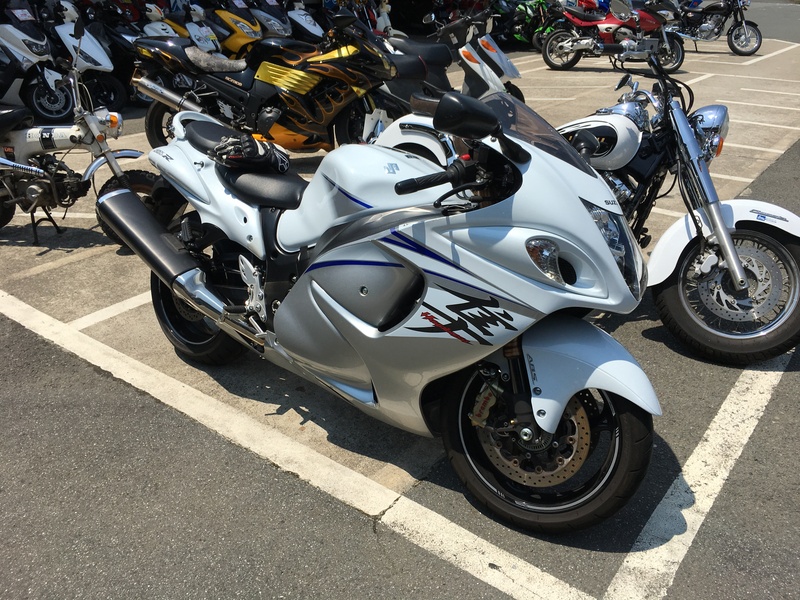 Yesterday, I decided to rent, for one day, a Suzuki Hayabusa GSX-R 1300. This motorcycle is known worldwide to be one of the fastest motorcycles ever built. According to the Suzuki Japanese website, the engine displacement is 1339cc, and has 4 cylinders in-line configuration. The maximum power is 145kW (197 hp) and the maximum torque is 155Nm. The engine block is made by "Suzuki Composite Electrochemical Material" and the valves are made by titanium. The weight is around 266kg, which is very high, more that other super-sports motorcycle on the market (most of them are below 200kg). 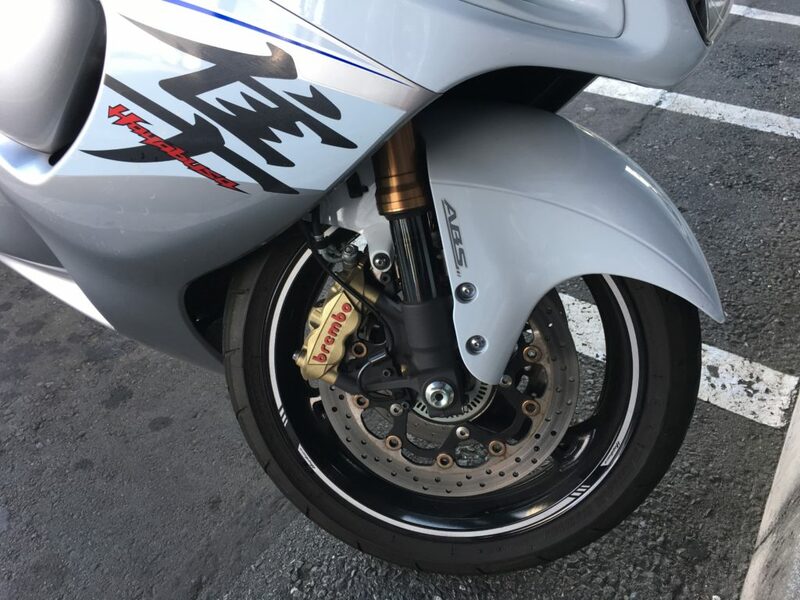 In order to ensure enough braking power, which is necessary to decelerate such heavy mass, the Hayabusa is equipped with double disc Brembo brakes. And also, the model that I used has ABS (tire Anti Blocking System), which might save our lives in heavy braking condition, when the asphalt is slippery. As usual, I did a one-day trip to Hakone (箱根, south of Tokyo) to visit the Hakone Open Air Museum (箱根彫刻の森美術館), which has a huge garden with many sculptures made by artists from all over the world. In the next picture, me and the Hayabusa. Just for your information, in Japanese "Hayabusa" means "peregrine falcon", which, if I am not wrong, is one of the fastest birds on earth. As you can see from the picture, this motorcycle is extremely long, big and heavy. I have never ridden something like this in my life (and probably I will never do it again). Thanks to its length and weight, it is very stable in the highway. And thanks to its good aerodynamics, you can easily ride it at high speed without feeling the wind so much. The cluster looks like this. Starting from left: fuel meter, engine speed, gear indicator, motorcycle speed, and engine temperature (cooling water temperature). Very easy to understand: I love these old style analog clusters, they are way better than the digital meters which are now used in most of recent motorcycles. And finally, I uploaded on Youtube a video of "the falcon beast". With the normal exhaust (I rented this motorcycle), the sound is not so loud. To be honest, I somehow started to like the sound of these 4-cyls Japanese engines. It is very "smooth" at low rpm, and when you rev-them up, they start to scream like F1 cars (the ones of the old era, before the recently adopted "turbo engines"). I mean, not exactly, because F1 cars had V engines with many more cylinders, but the "scream" is somehow similar. 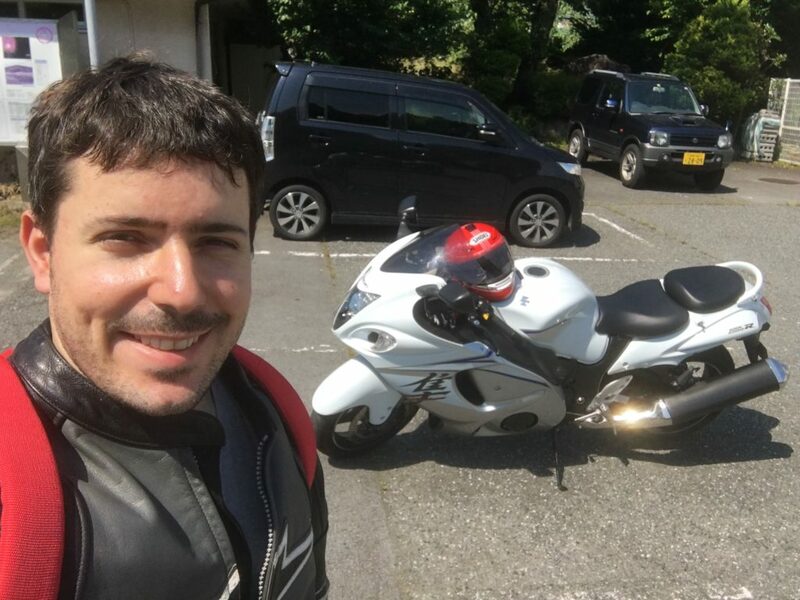 In conclusion, I am very happy to had the opportunity of riding this motorcycle, Suzuki Hayabusa. 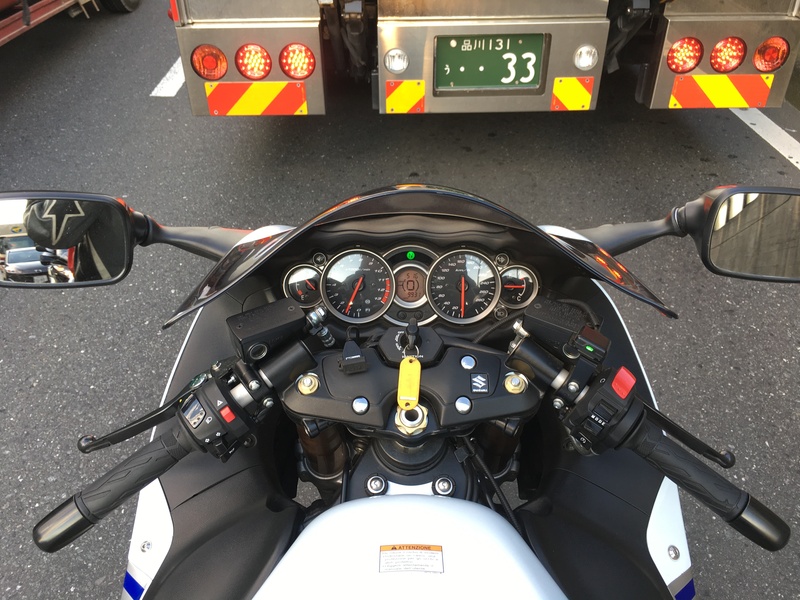 This is one of the most known motorcycles in the world, and I somehow understood why: the engine is amazing, it is very stable in the highway, the sound is great, and also from design point of view, it is better than the average Japanese motorcycle. However, I have to say that the weight is too much for me (266kg are too much). And also, the clutch is so hard. Therefore, I would recommend this motorcycle only for long trips, or for racing in the circuit. If you are searching for a commuter bike, or for a motorcycle to have fun in the weekends on the mountains, don't buy it because you will waste your money. Suzuki Hayabusa Equipped with a 1340cc DOHC air cooled engine, Suzuki Hayabusa is one of the highly performing beasts around the world.. I'm about to buy Hayabusa from Danish Motors showroom they are certified sellers of bikes and cars.. I didn't know that Suzuki Hayabusa had an air cooled engine. Are you sure? Suzuki Hayabusa A 6-speed gear transmission and accompanied by a Suzuki clutch assistant system ensures smooth shifting of gears. A wheelbase of 1480mm provides maximum road grip for a dedicated performance and comfort. Suzuki Hayabusa is famed for being one of the most expensive and fastest heavy bikes in the world. Equipped with a 1340cc DOHC air cooled engine, Suzuki Hayabusa is one of the highly performing beasts around the world which is admired for its high performance by notable and renowned bikers.